In this workout you move from each of five stations after a minute.The clock does not reset or stop between exercises. This is a five-minute round from which a one-minute break is allowed before repeating. On call of “rotate”, the Athletes must move to next station immediately for best score. One point is given for each rep, except on the rower where each calorie is one point. In todays FGB, we will be using the Dumbbell and Kettlebell’s in lieu of the traditional Barbell. This is an awesome session and good practice for the upcoming 2015 Battle Of The Badges! Team Big Bertha Hill Sprint! 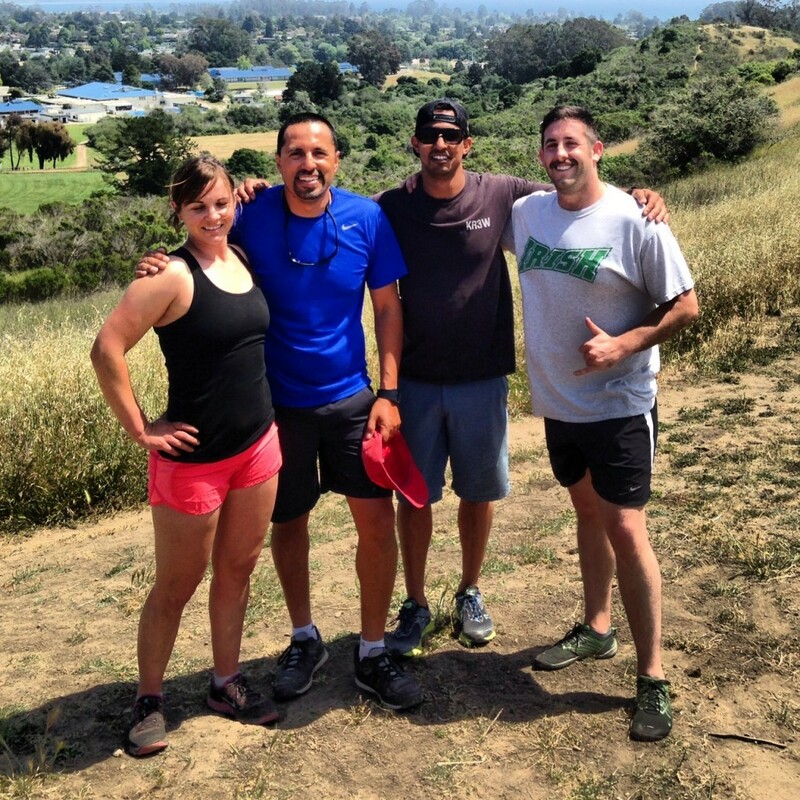 On Tuesday, May 5, 2015, Christina, Eddie, Bronson and Shawn braved the infamous Big Bertha Hill during the EnduranceWOD. The EWOD crew completed an 800 meter run, followed by 3 repeats up Big Bertha. Great job team!